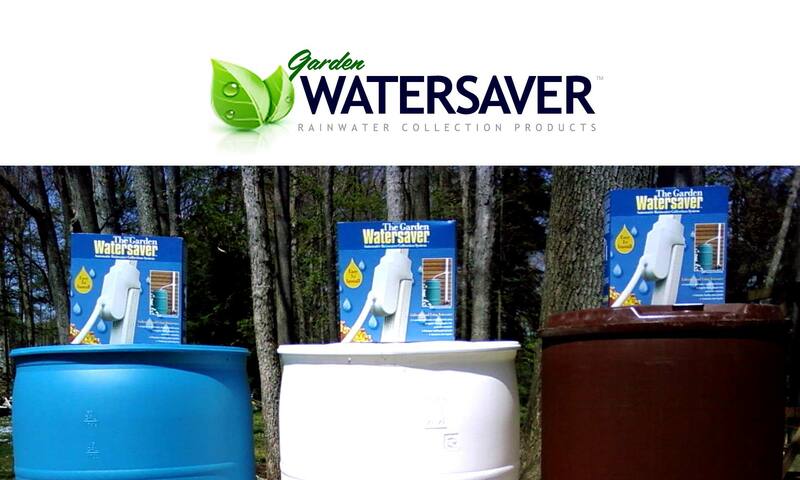 Linking together different types of rainwater barrels and containers can be done in various ways, for multiple uses. 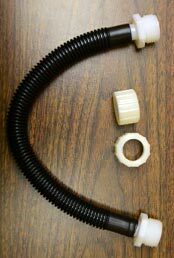 These connections are made using our Garden Watersaver Barrel Connector Kits. Connecting a closed-top barrel to an open-top barrel is one option that can be used, as shown in the picture above. This dual-top setup increases the water volume saved while only requiring one barrel spigot. The water level fills and empties from both barrels at the same time, providing extra water pressure, too. Connecting at the bottom of the barrel is a bit tricky for the closed barrel portion and requires special instructions. We recommend using our Barrel Connector Kits at the top of each barrel where the pressure is minimal; if a leak occurs at the bottom, you will lose your entire water supply. Also note in the example above, the hose connection on the right side of the trash can can be used to move excess water to another area in the yard with a simple tilt of the can. rain barrel to be connected. soften the plastic of the barrel.